The Taklamakan Desert, one of the major sources of Asian dust, is situated in the Tarim Basin, with the Tianshan Mountains in the north, Pamir Plateau in the west, Kunlun Mountains in the south, and Dunhuang in the east. The area is significant for studying the initial state of Asian dust particle transportation, which is mainly influenced by westerly winds. 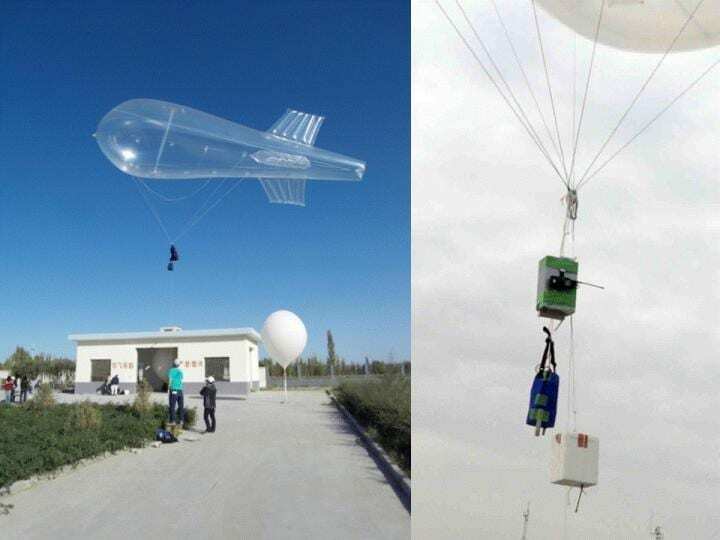 In a paper recently published in Atmospheric and Oceanic Science Letters, Dr. Ammara Habib from the Institute of Atmospheric Physics (IAP) of the Chinese Academy of Sciences, along with his collaborators, reported balloon-borne measurements of dust particles in the free troposphere (0-14 km above sea level in this study) under calm weather conditions over a Chinese desert region. All balloon-borne measurements in this study were carried out at Dunhuang, in the Taklamakan Desert, during calm weather conditions. The aerosol number concentration, size distribution, mass concentration, and horizontal mass flux due to westerly wind were investigated. The measurements were performed on August 17, 2001, October 17, 2001, January 11, 2002, and April 30, 2002. Five channels (0.3, 0.5, 0.8, 1.2, and 3.6 μm in diameter) were used in the Optical Particle Counter for particle size measurements. Coarse particle sizes were frequently observed in the mid and lower troposphere. The vertical profiles of aerosol number concentrations strongly suggested that mineral particles originating from desert areas had an influence locally and were transported long distances in all seasons. The vertical distribution of particle concentrations with aerosols larger than 3.6 μm in diameter exhibited a decrease in concentration at the altitude of 5-10 km above sea level. The size distribution function of particles indicated enhancement of particles with coarse-mode particles. High values of particle mass concentrations were frequently observed in the ground layer (1-2 km) and, interestingly, relatively high concentrations were frequently detected above 2 km. The horizontal mass flux of dust particles by westerly winds was very large in the free troposphere, while large amounts of dust particles were transported by westerlies to downward regions. The findings of this study will help future investigations of Asian dust-aerosol characteristics, their possible impact on regional weather and climate activities and the vertical profile of aerosol, as well as the variation in weather parameters on certain days under calm conditions. More investigations are required to clarify the effect of dust on the environment and climate of East Asia and western Pacific regions.